The aim of the training course is to support work of youth organizations around Europe in combating discrimination and promotion of cultural diversity and intercultural dialogue. Young people from Latvia, Lithuania, Estonia, Belarus, Ukraine, Moldova, Russia, Georgia, Poland, Greece, Armenia and Germany have taken part in the training course. 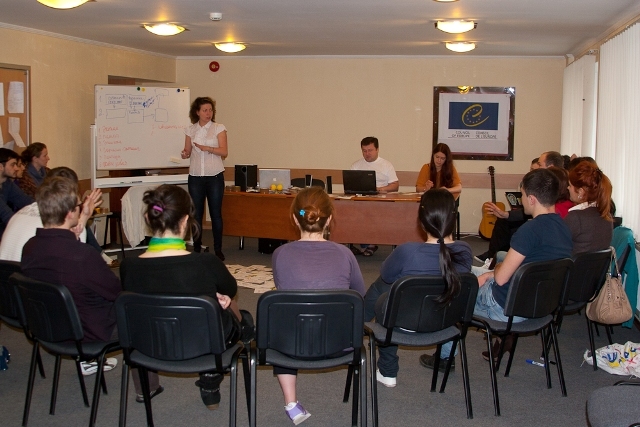 The programme of the training course included workshops on ICL, HRE, cultural diversity, e-learning education; meetings with local officials, experts, journalists and young people; discussions of discrimination issues; elaboration of project ideas, informal communication, etc.